Remember your special day with your groomsmen forever with Personalized Wood Picture Frames. A classic picture frame handsomely engraved for cherishing this wonderful day spent with family & friends.Our Wedding Party Personalized Wooden Picture Frames come in three sizes, please choose from, 4"x6", 5"x7" and 8"x10". Easel back allows for desk display. Engraved personalization features the natural wood grain color. Wedding Party frame includes FREE Personalization! 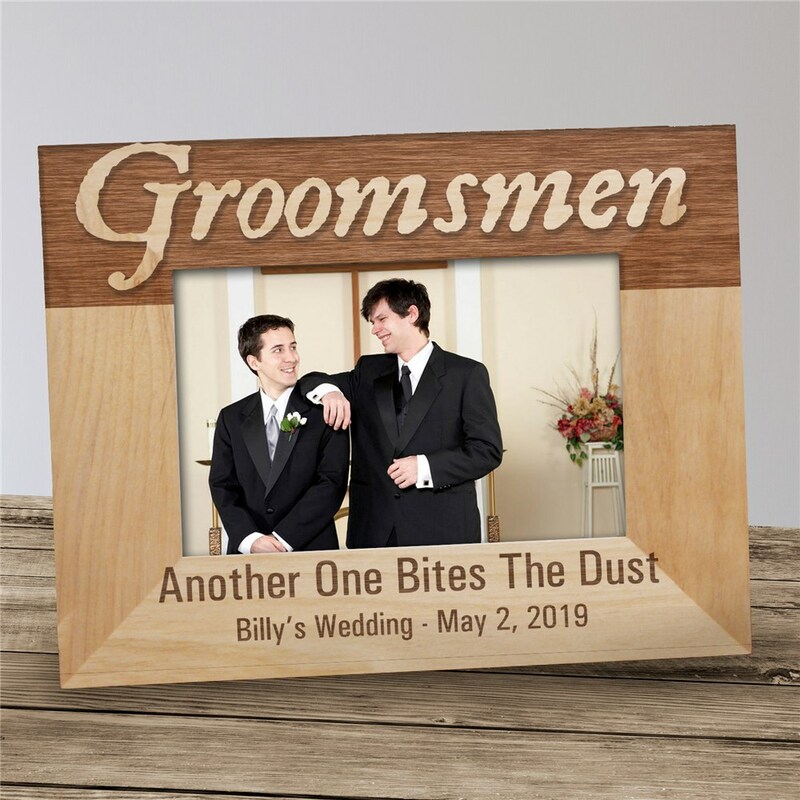 Personalized groomsmen frame includes any title with any two line custom message. Very good quality!!! Awesome product.